Plant catnip in a place where your cats can rub and roll in it without hurting adjacent plants. Set out transplants in the spring after the last frost. 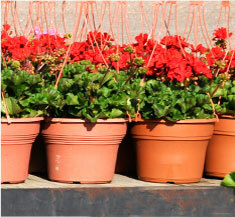 Keep plants full by pinching the growing stems and flower buds when they appear. The small white flowers that appear in the summer will form seeds that sprout; the plant also spreads by underground runners.Some cats are very rough on plants. To keep plants from being loved to death, cover each with an arch of chicken wire. The stems can grow up through the holes, yet the plant’s base and roots are protected. Or, try interspersing with bamboo stakes to prevent cats from rolling on top of the plant. 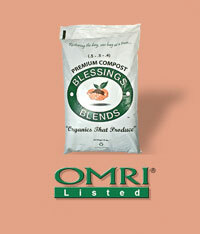 Always apply Blessings Blends OMRI-Listed Premium Compost (.5-.5-.4) for best results.